With winter in full swing, I’m excited to be in the kitchen cooking warm, comforting and healthy meals for my family. 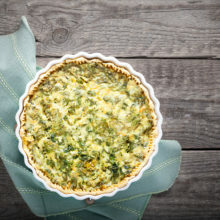 One of my favorite recipes is a spinach bacon quiche from Low Carb Maven that is made without a crust. It also makes an ideal bariatric meal when you substitute unsweetened almond milk or 1% milk for the heavy cream. It’s so full of flavor you won’t miss the crust or cream one bit! You can also change up the vegetable and protein ingredients for whatever you have on hand. My kids like it made with ham and broccoli and will eat it any time of the day. Packed with protein and fiber, it’s the perfect winter dish. I hope you and your family love it as much as we do! 1. Cook the bacon until crisp and chop. 2. Grease a pie plate or 8×8 glass dish. Preheat oven to 350 degrees F.
3. Thaw the spinach and squeeze dry. Slice the onion very thinly into half rounds or mince. Grate the cheese. 4. Put all of the ingredients into a large bowl and mix with a hand mixer until totally combined. Pour into the prepared pan and spread with a rubber spatula. Place into the middle of the oven and cook for 40 minutes. Adapted from Lowcarbmaven.com to meet a bariatric diet. 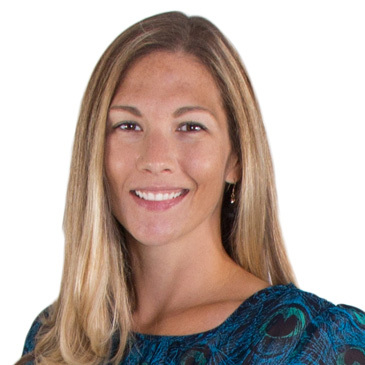 New Jersey Bariatric Center Registered Dietitian | Dana Babeu, RD, is a registered dietitian at New Jersey Bariatric Center, a medical & surgical weight loss center with offices in Springfield, Somerville, Hoboken, East Brunswick and Hackettstown New Jersey. She provides pre-operative and post-operative nutritional counseling to New Jersey Bariatric Center’s Gastric Bypass, Gastric Sleeve, LAP-BAND (gastric band) and revision patients, in addition to counseling for patients in our Medical Weight Loss program.